The government sponsors flood insurance for homeowners in flood zones. When the value of a home falls below the renaming balance on a mortgage, it is “underwater" in a financial sense. 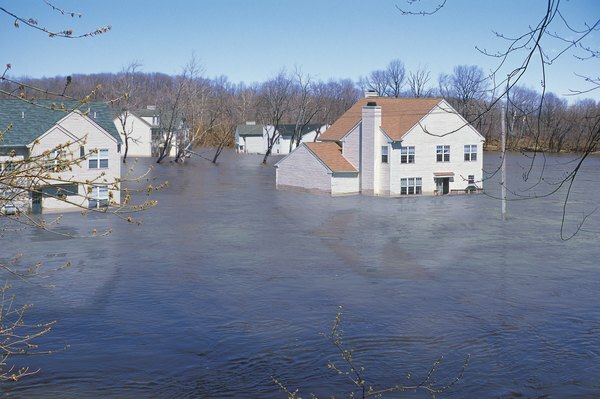 Some well-financed homes, however, face the danger of going underwater in a literal sense. Home flooding is an ever-present hazard for communities in low-lying areas or close to waterways. If you are considering buying a home in a flood zone, you'll have to take some extra precautions to protect yourself against flood damage. You might think your home is protected against any type of natural disaster when you buy a homeowners insurance policy. 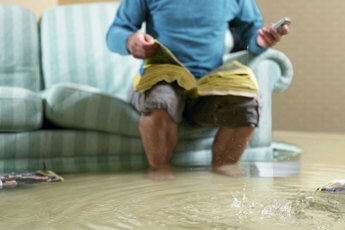 In reality, homeowners insurance covers a small subset of the possible damage, and flooding is not automatically part of the package. Instead, homeowners in flood-prone areas need to get flood insurance from the government through the National Flood Insurance Program. 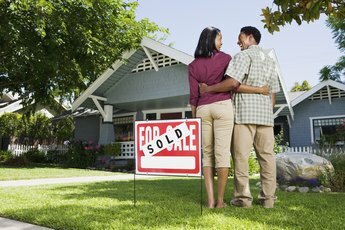 Check to see if the community your dream home sits in participates in the program before you make a purchase. Those communities are listed in the Federal Emergency Management Agency's "Community Status Book." Home inspections are important for peace of mind when you're buying property well above a flood zone. They're just plain crucial in a flood zone. The extra moisture can lead to hidden problems like mold and water damage. You literally can't afford not to let an experienced professional inspect the home for those kinds of issues. 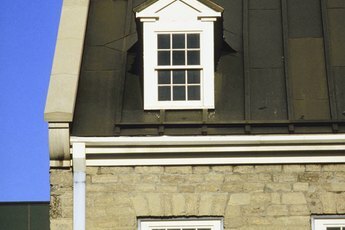 An investment in a good home inspector can potentially save you thousands of dollars in repairs. In fact, avoid buying a home in a flood zone if the seller does not allow home inspections. While no one can guarantee an area will or will not flood, FEMA-produced maps can show you which areas are more likely to experience flood damage. The maps split the country into flood zones, and display the flood potential within each one. The maps are available at the FEMA site. Just type in the address, city, state and zip code of the prospective home on FEMA's Map Service Center web page, or click the "Search by Street Address" button. According to FEMA, as of January 2011, flood insurance can cover up to $250,000 in building property and $100,000 for personal possessions. The policy will cost you anywhere from $365 to $6,410 a year. That's the normal cost; policies in high risk and coastal areas can be several times more expensive. FEMA also has an insurance policy rate chart if you need help estimated the cost of insurance in a flood zone. Federal Emergency Management Agency: What Causes Flooding? 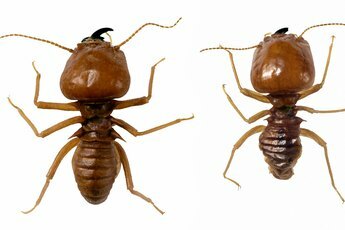 Does Homeowners Insurance Cover Termites?